Over a long meeting, we have discussed the future of Brawling Barons. Some ideas – both old and new – for expansions have been put forth, coming from several brothers. We have taken into account all the feedback we’ve got on the base game, and have designed 4 separate stand-alone expansion prototypes (going wild here). Our goal is to make every expansion playable in itself, as well as in combination with any/all other versions. 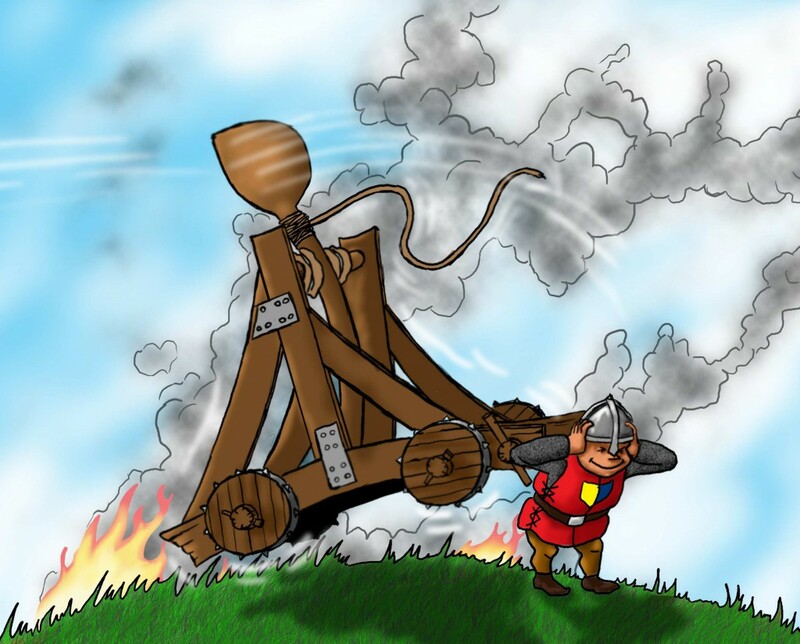 This requires lots and lots of playtesting, of course, for which we are very sorry… NOT! Once we meet up this Christmas we’ll be a large gang of brawling brothers (and sisters!) developing these prototypes even further. What would you like to see in a future expansion of Brawling Barons? Unfortunately our Kickstarter campaign for Fleets will not reach it’s goal. This means that all pledges will be cancelled and funds returned. Thank you everyone for your support! Jonathan would now like to return the favour by presenting the new Sheriff, created with some photographs of Benjamin! Cheers! In the midst of our progress on Fleets, we continue to get feedback on our other games. This week, we want to share a review that was released last week for Brawling Barons. These Czech game reviewers were kind enough to translate their work into English. It’s been heartwarming to see their thorough descriptions and fun framing. If you haven’t played it yet, maybe you should take a look! 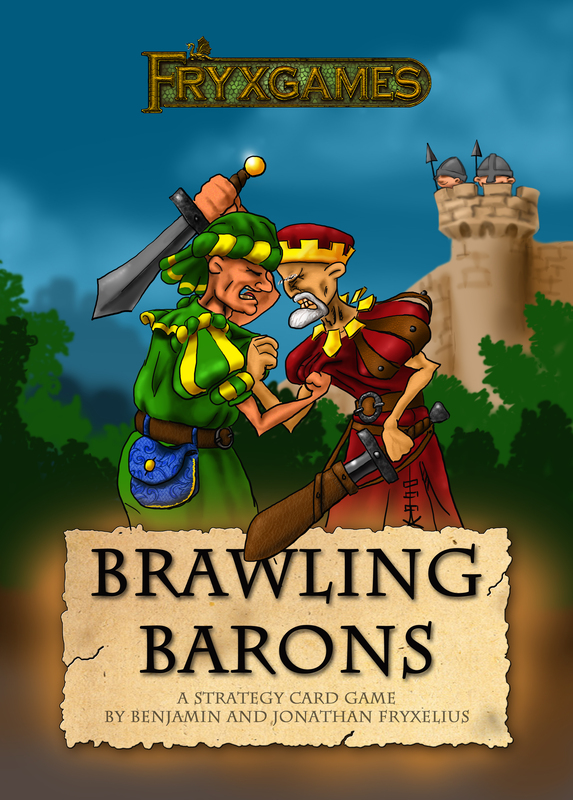 Rules for Brawling Barons released! 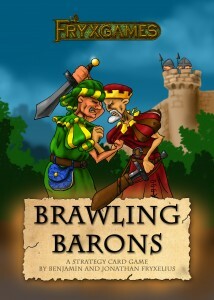 The English Rulebook for Brawling Barons has now been released! It can be accessed here, or from the Brawling Barons game page. The rulebook consists of 12 pages and each page is the size of a playing card. When you buy a deck of Brawling Barons, you will get 6 cards printed on both sides with these rules. We will be adding other language versions of the rules here on our website as soon as those translations are completed. We expect to have Swedish, German and French rules before October 18th. We proudly present our new game Brawling Barons! 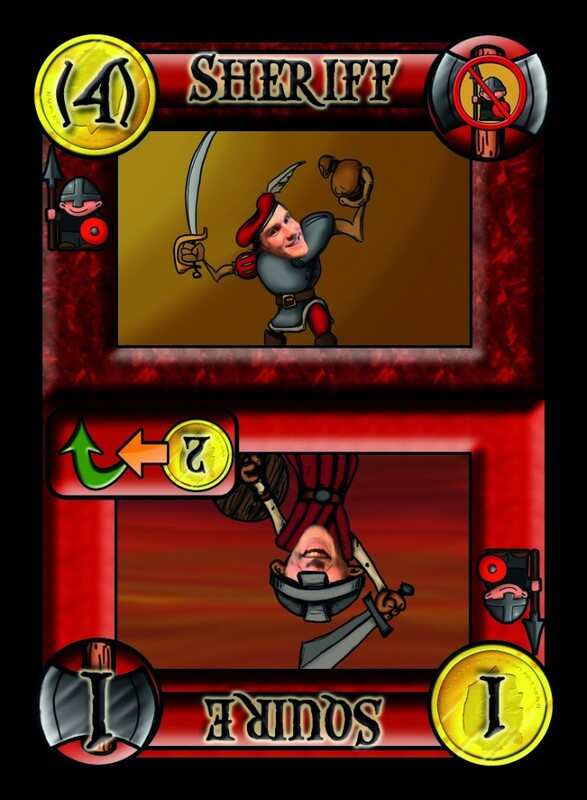 Brawling Barons is a short tactical card game where you try to collect Victory Points, either by constructing buildings or sending military units to the king’s front. 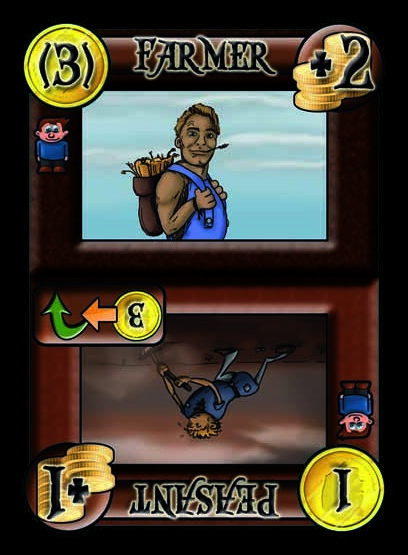 The game was created by Benjamin and Jonathan Fryxelius, and will be released in Essen Spiel’2012. Artwork by Isaac, Benjamin, and Daniel Fryxelius. Read more here!